Posted on 12/04/2018 by Mark Engleson	in Live Review and tagged folk, Illinois, Shawn Colvin, The Birchmere. 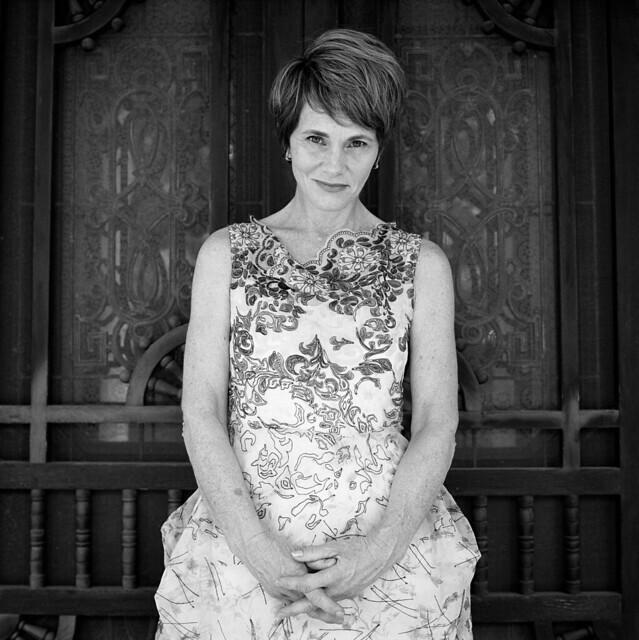 For her show on Thursday at The Birchmere, Shawn Colvin appeared immaculately dressed. As she discusses in her 2012 memoir, Diamond in the Rough, she loves clothes. In the book, she says, it’s a lucky thing that her daughter does too, as they will constitute most of her daughter’s inheritance. Shawn played solo acoustic, beginning with a cover of Paul Simon’s “American Tune,” which she released on 2015’s Uncovered. She didn’t say anything before or after her first number, leading into “Trouble,” from 1996’s A Few Small Repairs, which won the Grammy Award for Record of the Year in 1998. When she immediately followed “Trouble” with “Riding Shotgun Down the Avalanche,” from her first album, 1989’s Steady On, I started to wonder. Shawn openly discusses, in her memoir and elsewhere, her history of addiction and mental health problems. Was she having a rough evening? Shawn put my speculation to bed to with her rendition of “Polaroids,” also from Steady On. Almost as if she was speaking directly to me, Shawn said that she wrote those in 1987 or ’88, when she was on tour in Europe as a backup singer with Suzanne Vega, who had a big hit, “Luka.” Shawn regaled the audience with tales of playing Wembley Stadium in England and meeting the King of Sweden. Shawn quipped, “I’ve been in therapy so long that 45 minutes into this set, I just start winding it down.” Continuing to describe “Polaroids,” she revealed that, in writing the song, she found she was stealing from other songs, which led to her playing a hilarious medley. After her song medley, Shawn joked, “I’m worn out.” She added, “That will be the most fun you have this evening. It’s back to doom and gloom,” and played the “Facts About Jimmy,” from A Few Small Repairs. As she noted later in the evening, there never was a “Jimmy” — names have been changed to protect the object of her unrequited love. Shawn told the audience that she hadn’t played “Cry Like an Angel,” from Steady On, for a long time before last night. She is headed into the studio next year to make an all-acoustic recording of her old songs. In this vein, she follows other artists like Rodney Crowell, who released Acoustic Classics this year. After “Cry Like an Angel,” Shawn played the first Tom Waits song of the evening, “Heart of Saturday Night,” which she first released on her 1994 album, Cover Girl. She then discussed the replica songwriting book for her album, A Few Small Repairs. She mentioned that “Sunny Came Home” was originally titled “40 Red Men,” which her A&R rep explained was not going to work for reasons you might imagine. The next song — “Killing the Blues,” a cover of Rowland Salley — was first recorded on John Prine’s 1979 album Pink Cadillac. The song was also famously covered by Alison Krauss and Robert Plant on their 2007 album, Raising Sand. Shawn finished her set with “Diamond in the Rough,” from Steady On. Returning for her encore, Shawn sat at the piano and played Tom Waits “Ol ’55,” which she has not recorded. She followed with “If I Were Brave,” from A Few Small Repairs.” Switching back to her guitar, she played the Talking Heads’ “This Must Be the Place” to close out the evening. The highlight of the evening, aside from “Sunny Came from Home,” was the humorous medley attached to “Polaroids.” Shawn demonstrated great timing, and she knew how to work a crowd. She put on a fantastic show, and she sent her fans home happy. Surprisingly, those fans skewed older than I expected; I thought there’d be more people in their 40s at The Birchmere, but it looked like a lot of the people in the audience were dedicated fans from even before Shawn hit it big with A Few Small Repairs and “Sunny.” Much of the following an artist may get from a single hit song or record may fade, but the audience she builds slowly is what remains over time.